Mercy Ministries News: Merry Mercy Nashville - A Night To Remember – This Thursday! Merry Mercy Nashville - A Night To Remember – This Thursday! It’s time to celebrate with Mercy Ministries supporters in Tennessee! 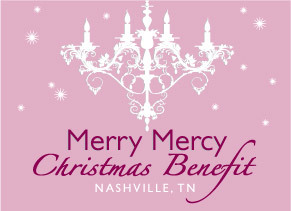 We invite you to join us on Thursday, December 1st, for the Merry Mercy Christmas Benefit at the beautiful Renaissance Nashville Hotel. Merry Mercy promises to be a night to remember with a gourmet dinner followed by entertainment from singer/songwriter and American Idol Finalist, Melinda Doolittle! Founder and President of Mercy Ministries, Nancy Alcorn, will be there to share the vision of Mercy and you will hear amazing stories of transformation from some of our incredible Mercy graduates. Dan and Cherie Hammond are the Chairs of this year’s Merry Mercy and are honored to help raise awareness and funds for Mercy Ministries. We are also excited to announce that the Legacy Tree Foundation will be the Chairman Sponsor for this event. LegacyTree Foundation is a Christian nonprofit organization whose mission is to provide spiritual, physical and humanitarian aid to those in need. LegacyTree Foundation partners with Mercy Ministries to offer charitable planned giving programs for individuals and families to help redeem and restore broken lives. This event will also include a silent auction to raise money for Mercy. Unique and exciting travel packages, sports memorabilia, jewelry, artwork and gift baskets will go to the highest bidders of the night. If you don’t want to wait or if you are unable to attend, you can still take advantage of these amazing travel packages at a special “Buy Now” price in our Merry Mercy online store by CLICKING HERE. To get a preview of luxury travel packages, CLICK HERE. And remember, ALL proceeds go toward helping hurting young women have their lives transformed and their hope restored! You can purchase tickets for the Nashville Merry Mercy Christmas Benefit by CLICKING HERE, or better yet, purchase a whole table and introduce your friends, family and colleagues to the work being done at Mercy Ministries! 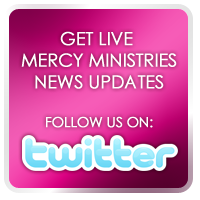 For more information, contact Heather Robinson, at hrobinson@mercyministries.com. This beautiful video was made available by Mercy partner White Chocolate Visual Media.